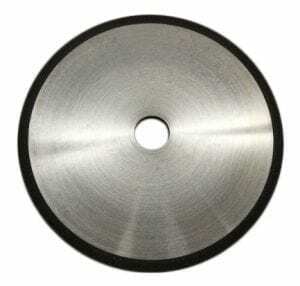 Diamond Wheel Supplier | Eagle Superabrasives Inc.
Eagle Superabrasives is an industry leading supplier of superabrasive supplies located in the United State. Our headquarters, located in Hickory, NC contains an extensive inventory of over 6,000 Diamond Wheel, CDX and CBN Wheels in stock. Ninety-percent of orders are ready for same-day shipping and we can fill custom orders in as little as seven days. By implementing the hardest material known to man, onto a wheel, machinist can obtain the high precision and performance of the diamond wheel. At Eagle Superabrasives, we offer a wide variety of diamond wheels that vary in size, grit and hardness. Diamond Wheels are great for working with difficult to grind materials (DTG) such as carbide cutting tips, gemstones or concrete. Diamond Wheels offer carbide removal with a fast and clean cut without the worry of burning the surface or cracking the workpiece. Because a Diamond Wheel is such a superior superabrasive, the breakdown of the wheel is not due to high use. Instead, the breakdown of the bonding layer is the cause of poor performance. Our engineers and chemist work constantly on developing advanced formulated bonds to ensure the integrity of our wheels. To improve the life of your wheel and the bond strength, extra steps can be implemented into your grinding process such as grinding with a coolant. Dry grinding causes more wear than wet grinding, so if you are dry grinding, you must grind at a slower speed in order to minimize the wear on the wheel. When you’re ready to try the best, trust the experts at Eagle Superabrasives. We pride ourselves in our high-performance wheels, but take an even greater pride to our customer service. Our friendly staff will ensure that you are buying the correct wheel for the job as well as provide fast and friendly support along the way. Contact us today!